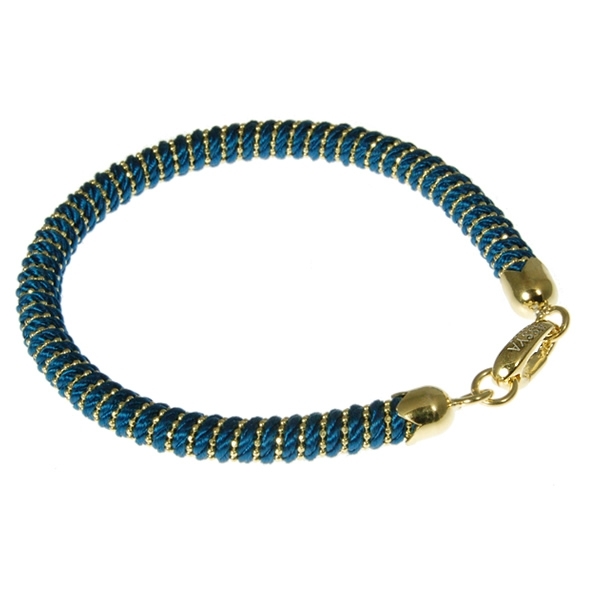 New in from Assya, this stunning bracelet is made with teal blue coloured silk rope entwined with an 18ct gold vermeil bead chain. 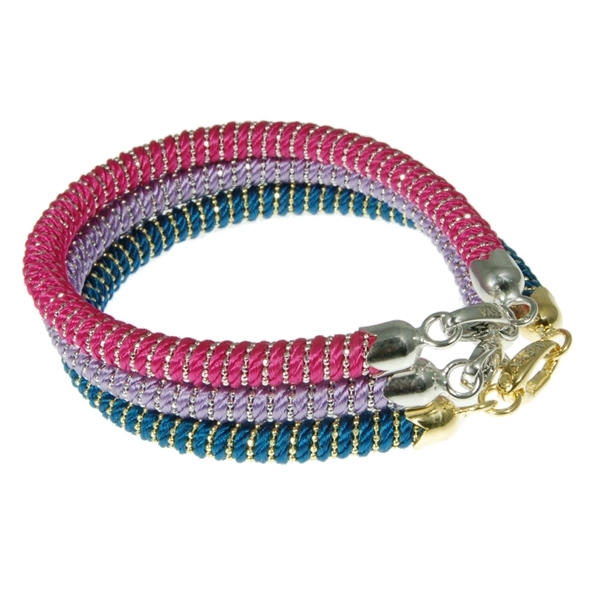 Friendship bracelets are a key trend at the moment and none hit the mark quite like this one! 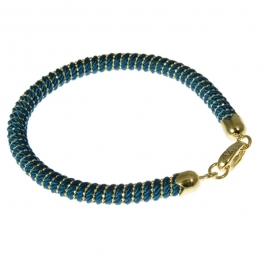 Teal is associated with 'Success' and we think this would make a fabulous, meaningful gift. It fastens with an 18ct gold vermeil clasp. Total circumference is 19cm, approx width of band: 0.7cm. Available in a range of stunning colours each with their own meaning; these bracelets look great on their own or worn in two or more colours for an on trend look.